Given that school is back in session, it seems about right to administer the first ever To-do List Pop Quiz. Still your moans and groans and tell me, if you had an option between shilling out your hard-earned greenbacks to go experience a wonderful, locally-themed event and spending absolutely nothing to go experience a wonderful, locally-themed event, which would you be inclined to pick? Well, if you chose the latter of the two options, then you have passed the To-do List Pop Quiz. See, it wasn't so hard now, was it? I guess it's time to reward all of you culture-loving fans of the free, so let me tell you about just an event that should make the grade. The Erie Chamber Orchestra will be kicking off its 36th season of free music with the Opening Night Celebration Friday, Sept. 13 at McDowell Intermediate High School, bringing the moving sounds of accomplished players in one relaxed setting. "It allows you to hear music the same caliber of almost any other major orchestra, but for zero cost," Erie Chamber Orchestra Executive Director Steve Weiser says. "We'll give you that more intimate experience where you'll be so much closer to the musicians and you'll get to meet the soloist afterwards." 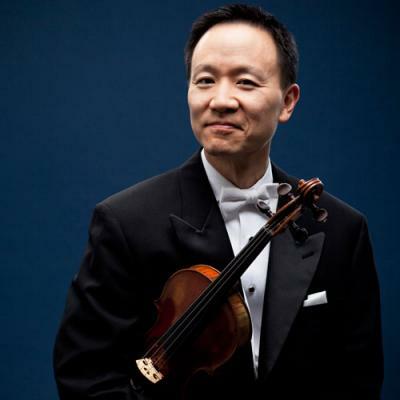 That soloist he speaks of is David Kim, accomplished violinist and concertmaster of the Philadelphia Orchestra, who will be dazzling the denizens of the Little Theater with his command of the strings. In addition to Kim, Shannon Wood, principal timpanist of the Grand Rapids Symphony, was commissioned to create an original work themed around the 200th anniversary of the Battle of Lake Erie. "Generally when I write, it always comes across as very symphonic in nature and then I layer the percussion or the solo instrument into what's going on, and there is a lot going on musically in the orchestra," Wood says. His efforts resulted in "The Battle of Put-in-Bay," an eight-section composition containing pieces such as "O.H. Perry" and "We have seen the enemy and they are ours." "He uses certain sound effects within the strings and the percussion to give the allusion of waves, cannons in the distance, and the sounds of rolling thunder," Weiser says of Wood's original creation. "I'm fascinated when a composer can do that, to start from scratch and create something like this." While creating elaborately constructed compositions may not all too easy for the average person – we'll leave that for Weiser, Wood, and the rest of the classically-gifted folks at the Chamber Orchestra – it doesn't take a mathematical genius to figure out that talented musicians, local themes, and zero cost make for one easy equation. Seven years ago, Drew Kauffman decided to stop complaining and start doing. Disenchanted with the lack of events featuring local artists, he felt there was a need that he could help fill and soon Arts 'N Drafts Fest was created. "My original thought behind this project was to create a minute period of time where we're all able to bring ourselves together whether we're talented artists, musicians, or the community in general," Kauffman says while sitting in the Brewerie at Union Station, the fixed location for the biannual three-day celebration, which is returning for the 12th time Sept. 12-14. "It's about demonstrating what talent we have in the area that people are oblivious to or just don't have the opportunity to experience. It's also a chance for artists and musicians who have never put themselves out there to put themselves out there." Arts 'N Drafts won't be lacking in participants, with dozens of artists displaying their photography, acrylics, and assemblages for show and sale. Two stages will be set up – one in the tap room and the other outside by the tracks – for live music starting at 7 p.m. every night, with electro magician onewayness, folkheads Sean Patrick and the Newgrass Revolution, and Erie's bearded ambassador of Americana Matt Texter leading the pack from Thursday to Saturday. Of course, the artist displays and live music only covers the first half of Arts 'N Drafts, as the Brewerie's own craft beers will be readily available for those that wish to enjoy some local liquid libations as well. "Throughout the course of the day you'll see the evolution of the patron," Brewerie owner Chris Sirianni says. "There are people who are here for dinner and a beer and then stay here and enjoy the art, so I think it's a perfect complement." Whether you're at Arts 'N Drafts for the art, the music, the beer, or all three, you can be sure that you'll be enjoying the talents of Erie in one place, and even the biggest grumblers won't find too much to complain about.